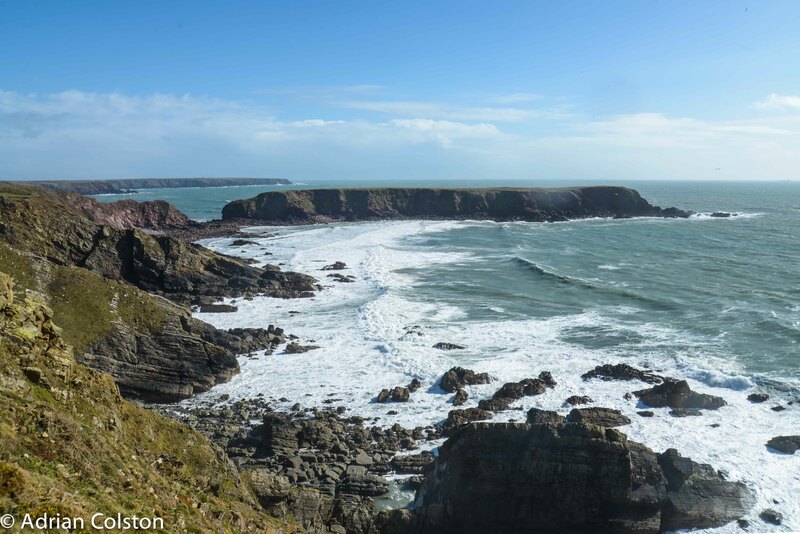 Despite some pretty apocalyptic weather forecasts for the Easter period we have been pretty fortunate in Pembrokeshire National Park over the weekend. 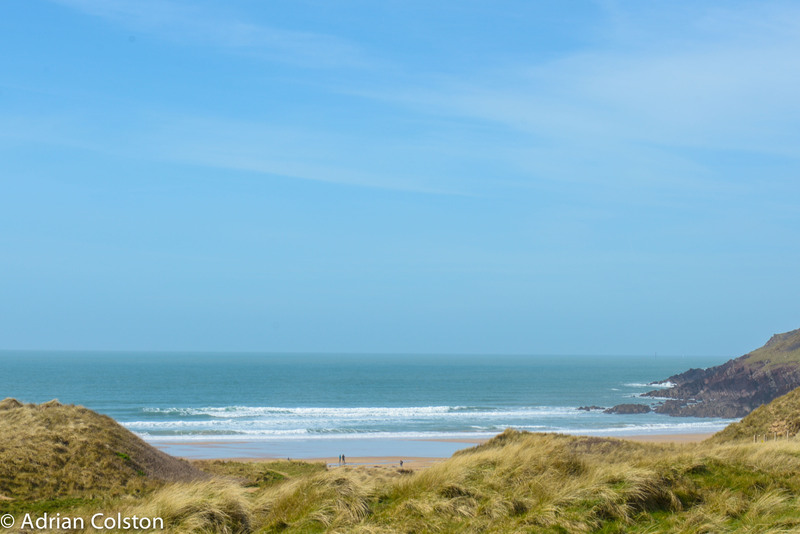 Here are a some photographs from the weekend of some fantastic beaches, some stormy sea shots, a couple of islands and an amazing harbour. 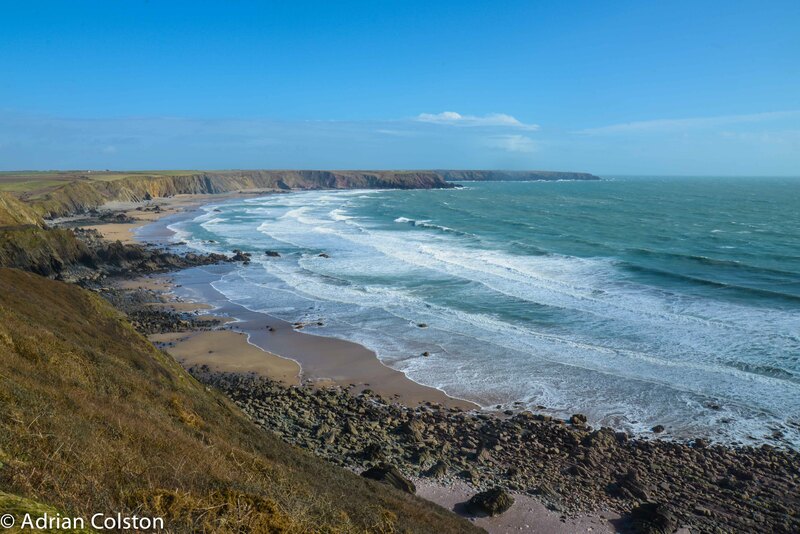 This Freshwater West – a huge beach in south Pembrokeshire where some of the Harry Potter films were made. 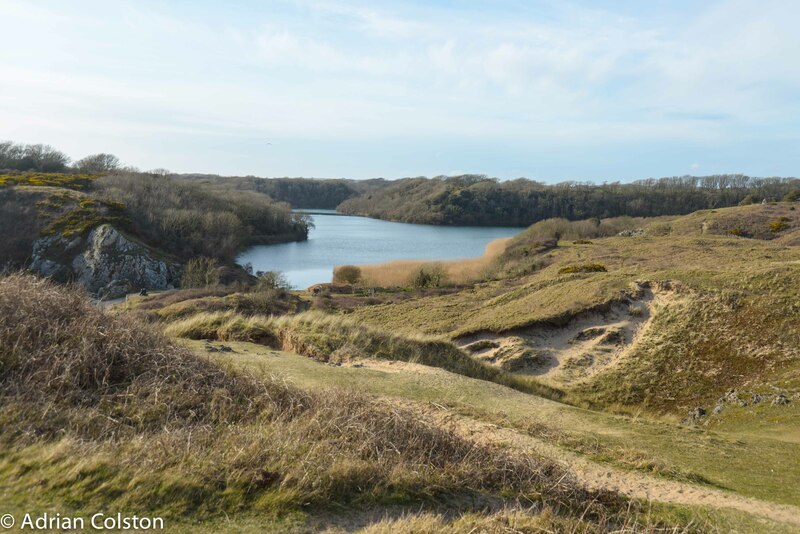 Behind the beach is a huge sand dune complex – a National Trust site. 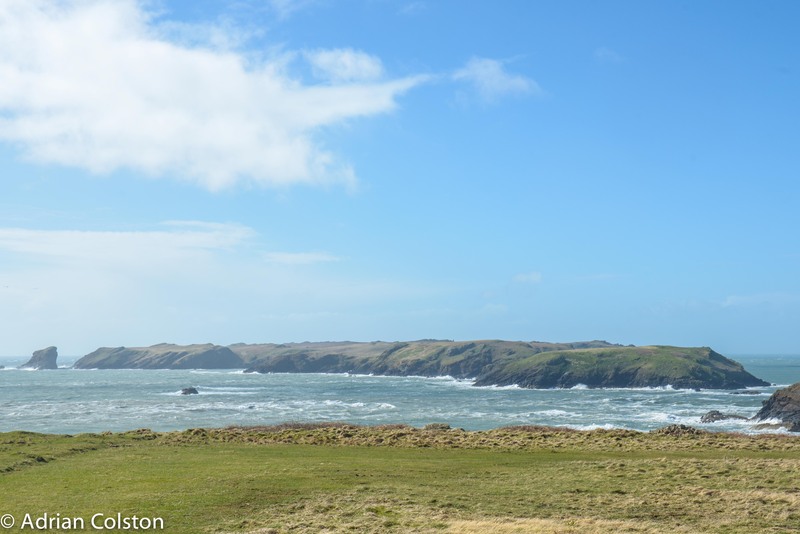 Here we saw five chough. 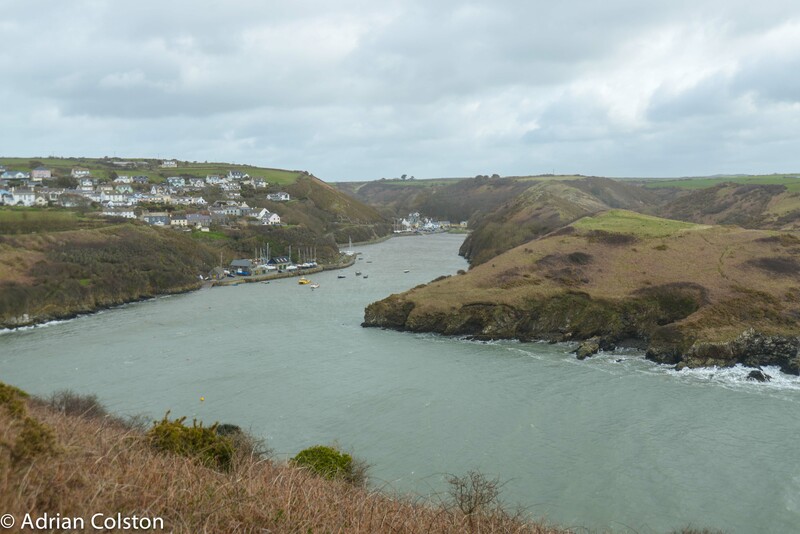 Finally arriving at the sheltered harbour at Solva – this used to be a port where you could get a passage to America for £4. 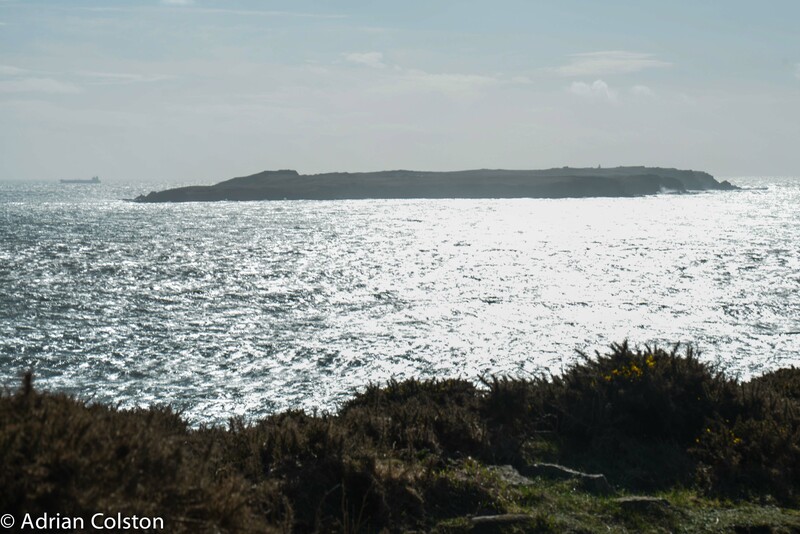 The headland on the right hand side of the picture contains an Iron Age Hill Fort on the highest ground. On the way back we were met by a 30 minute hail storm which wasn’t a lot of fun! 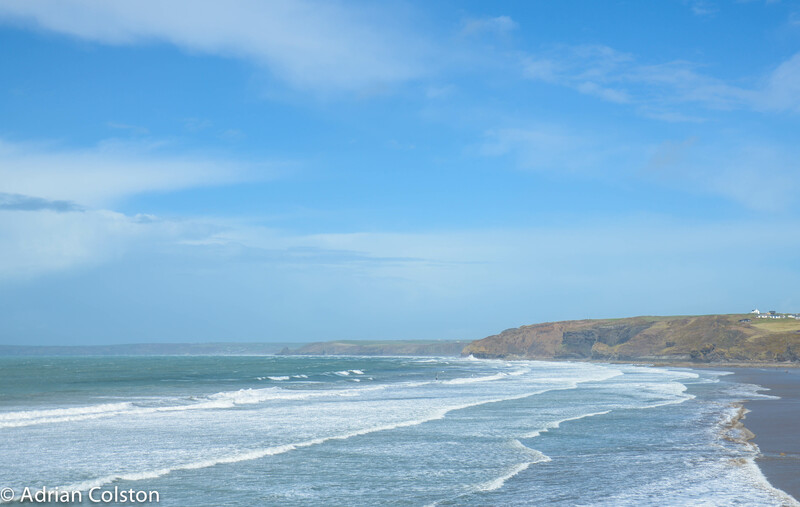 Yesterday afternoon we we drove down the coast – this is the beach at Little Haven. 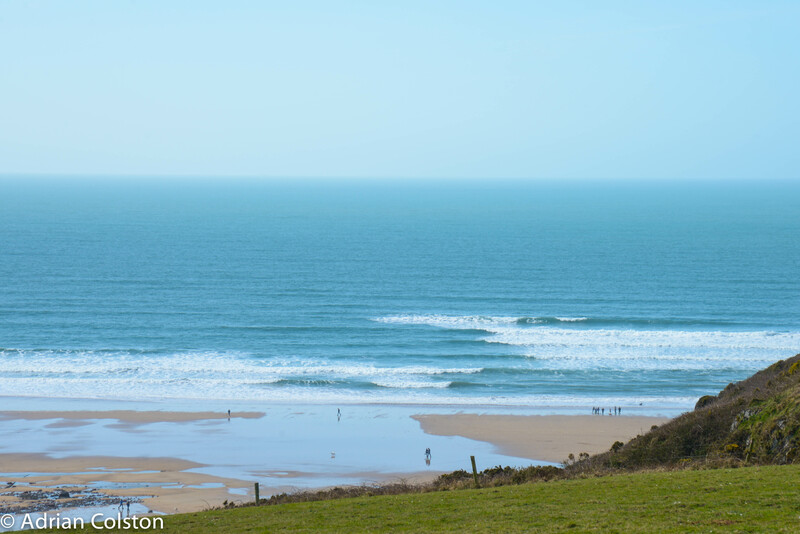 I bet you wish you were there yesterday? 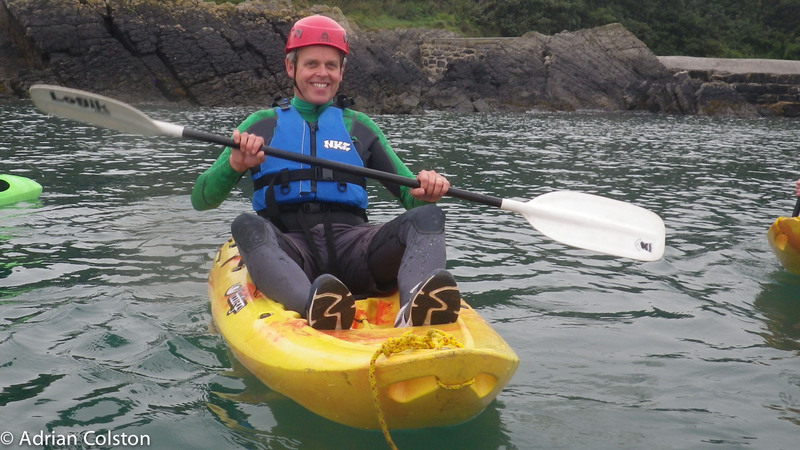 I’m really pleased we ventured out and weren’t intimidated by the weather forecast. 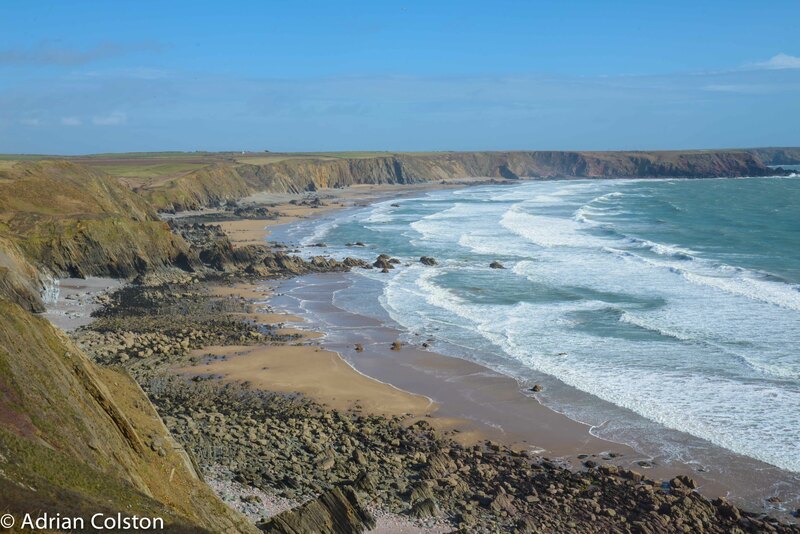 Still go a couple of Pembrokeshire blogs to write but today I am off back to Devon. 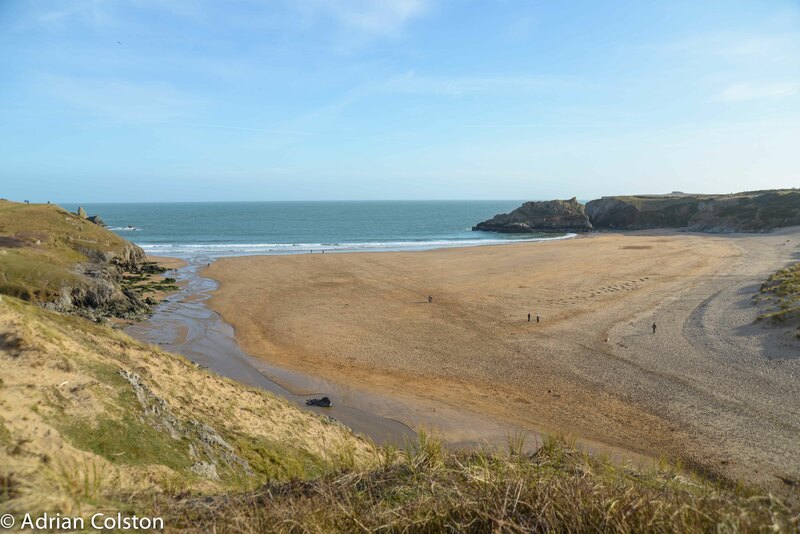 If you haven’t been to Pembrokeshire – it is magical and well worth a visit, a long weekend doesn’t do it justice but it will give you a flavour – luckily this was my 7th trip ….. 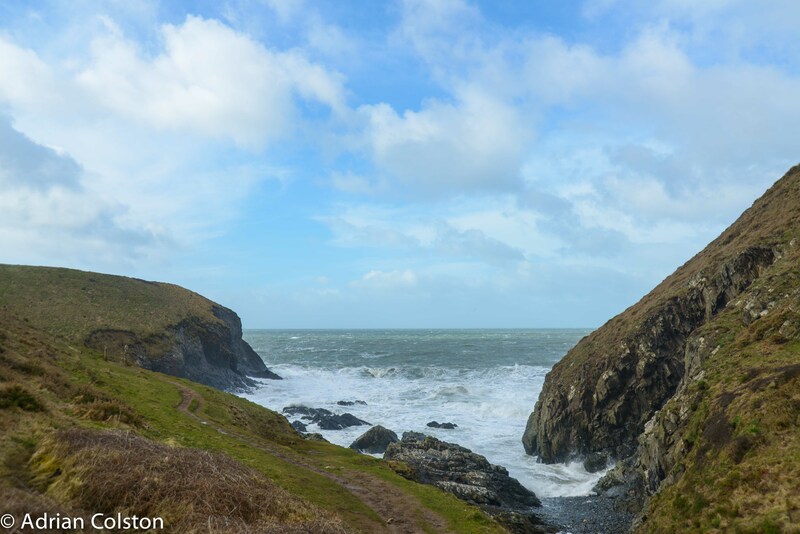 Yesterday was a wild, wet and windy day here in Pembrokeshire. 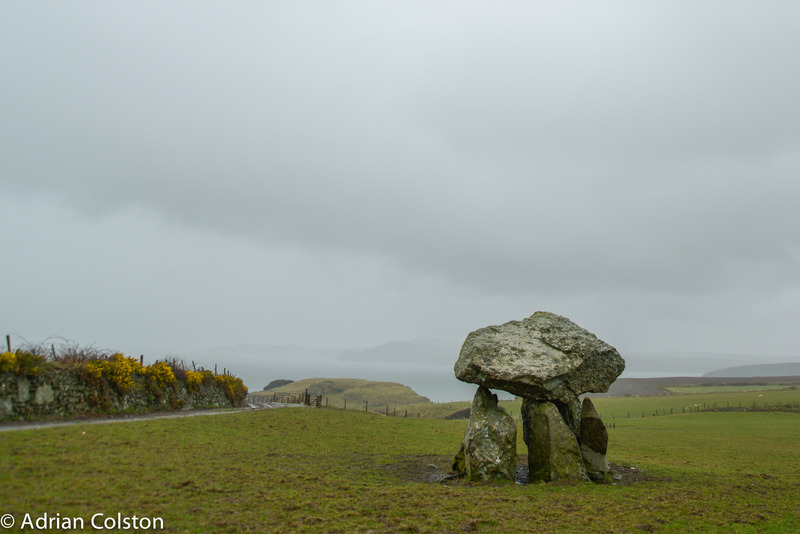 Nevertheless we ventured out and went to see some of the National Park’s Cromlech Stones. 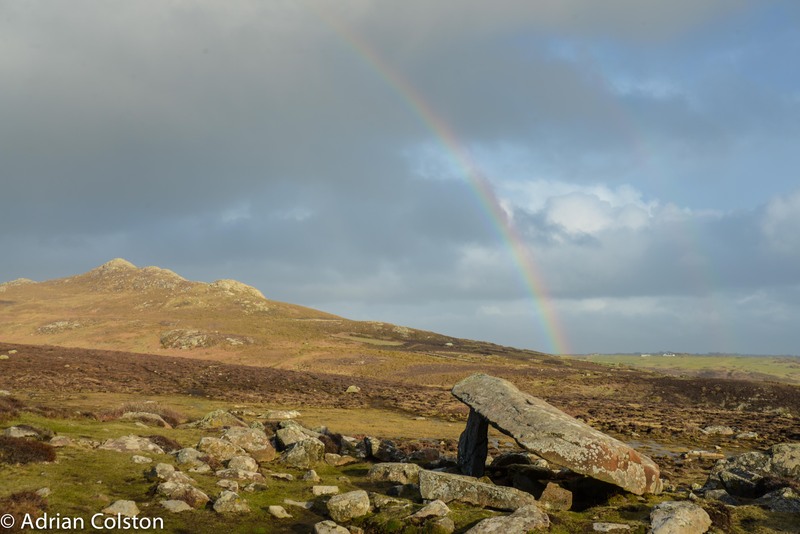 These are Neolithic (New Stone Age) burial chambers which are around 5000 years old. 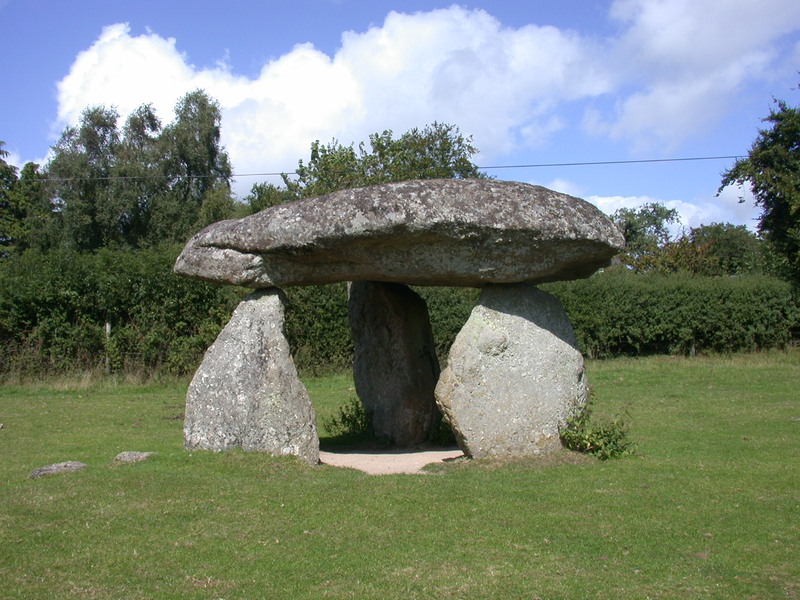 They have various names around the UK – known also as Dolmen, Tolmen or Quiot Stones. People of high importance would have been buried in such places. Few remain today. 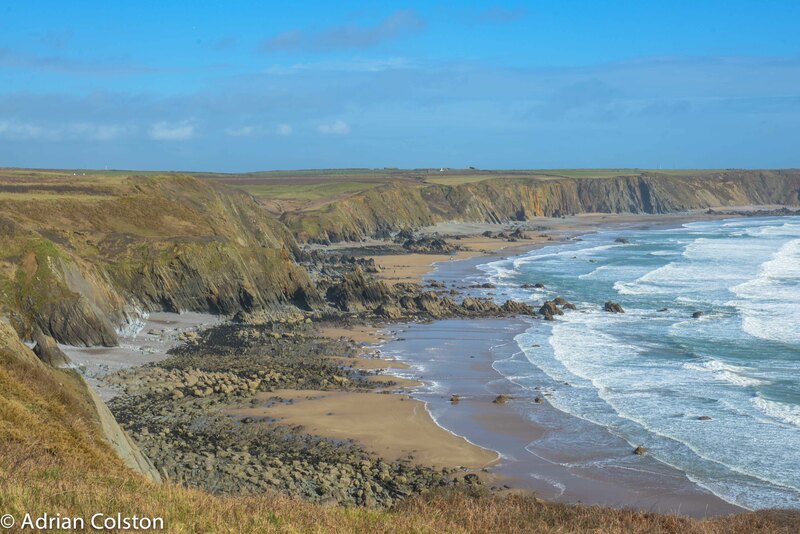 This is Cerreg Sampson high on the headland above Abercastle – it sits in a heavily grazed cattle field looking out to sea. 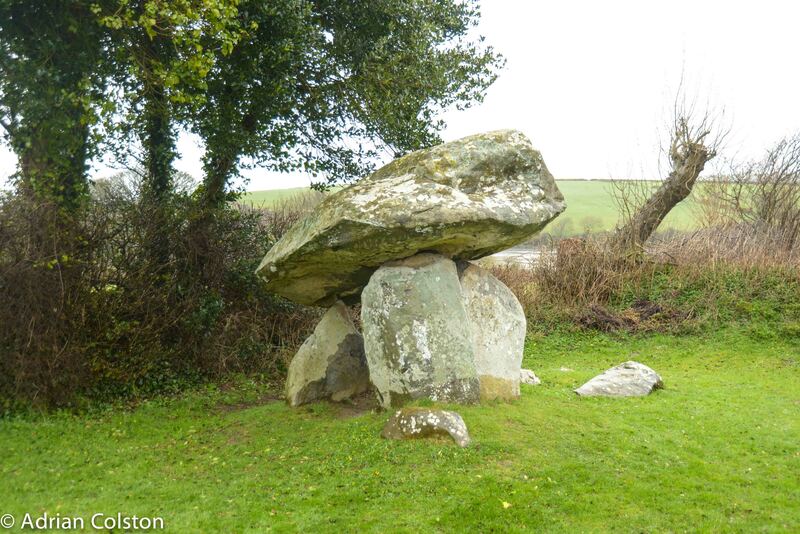 The body of the dead person was interned within a ring of stone which was then capped by the ‘table’ stone and then covered in earth. 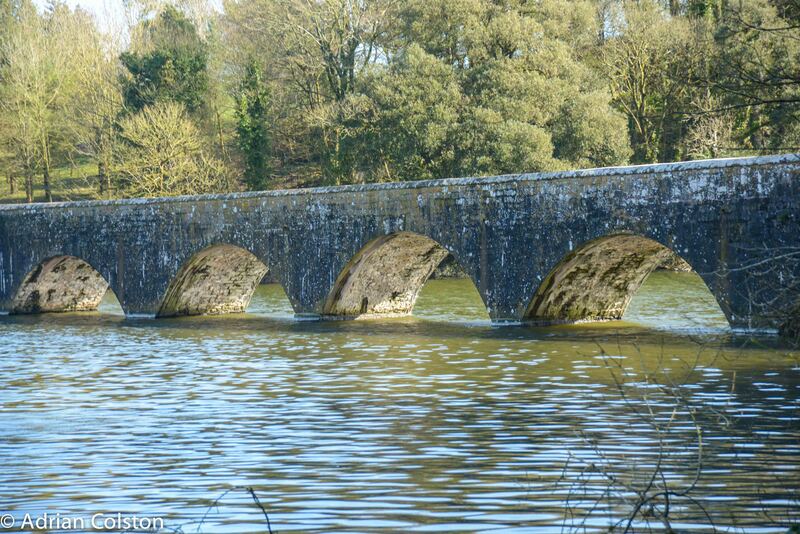 All have long since been plundered only leaving the table stone and some supporting stones. 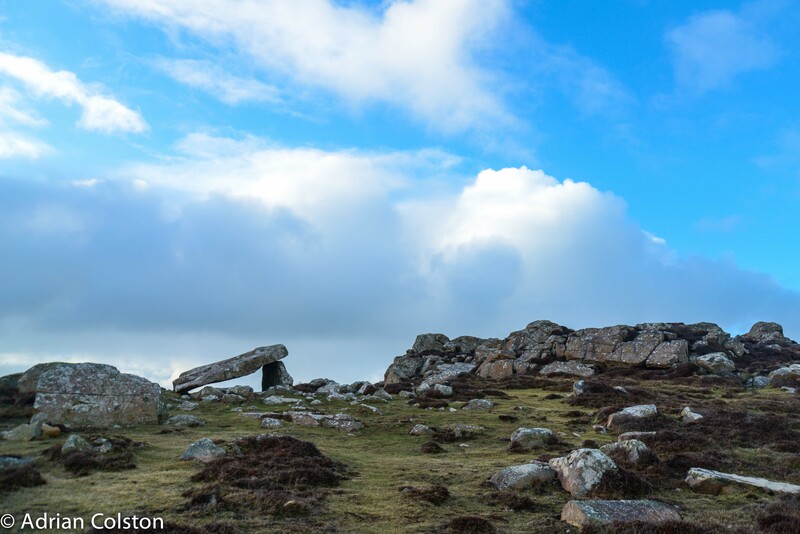 Carreg is the Welsh for Rock or Stone. 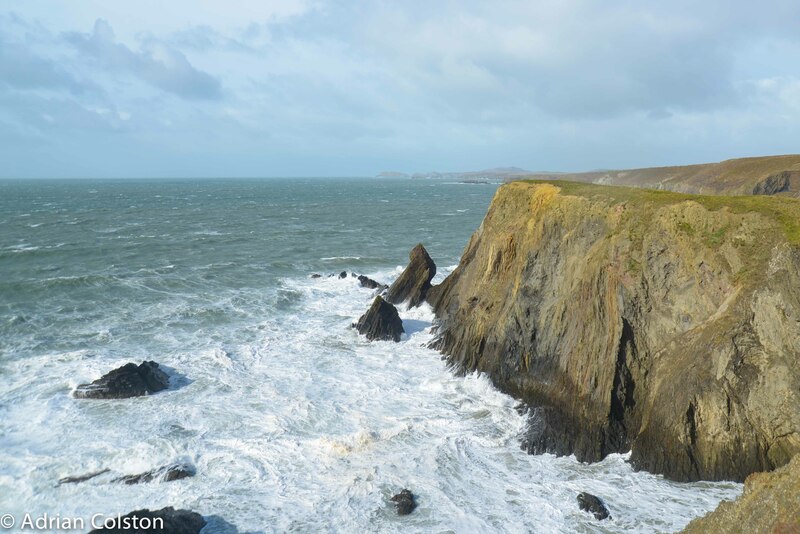 This is Carreg Coetan Arthur – near Newport east of Fishguard. 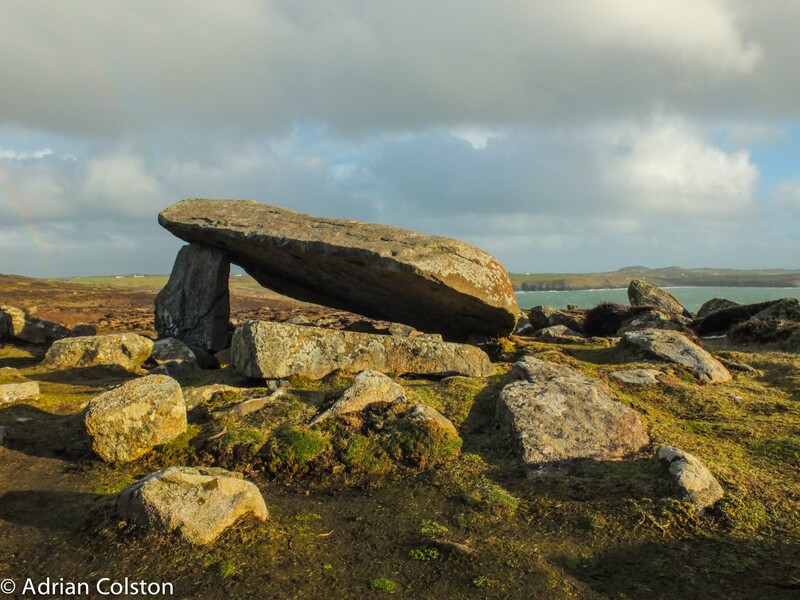 Coetan may mean burial chamber or may be the word from which Quoit was derived. 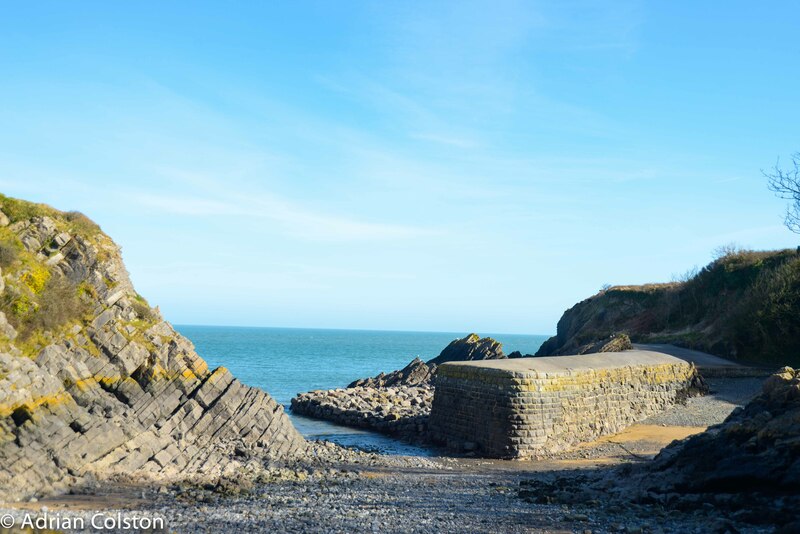 It sits with a tiny enclosure above the estuary of the Afon Nyfer – as a result it has sadly lost its landscape context but is otherwise in good condition. 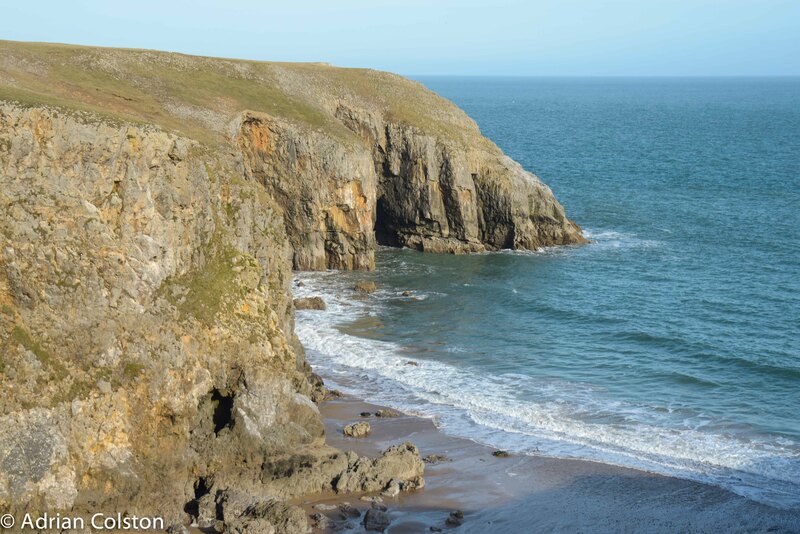 The final cromlech we visited was on St David’s Head and is managed by the National Trust. 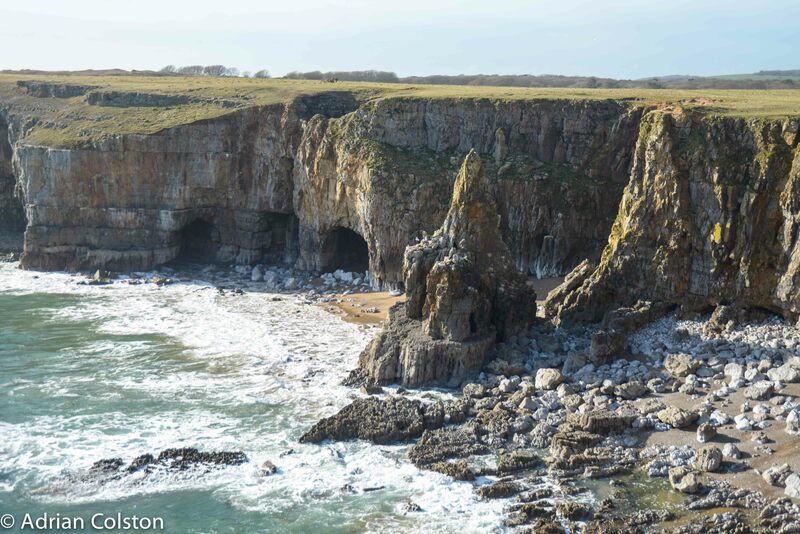 It has partially collapsed but is still set in its historic landscape. 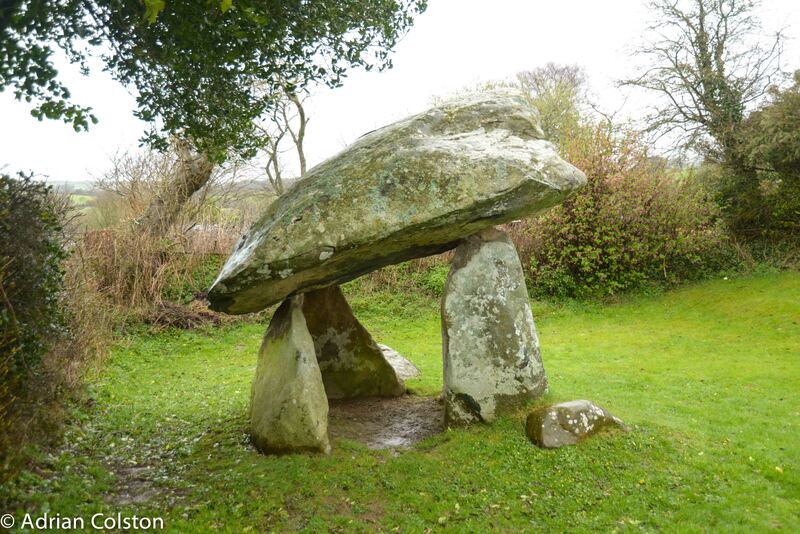 Interestingly it is called Coetan Arthur (and in some guides Carreg Coitan Arthur) and is therefore very easily confused with the previous Dolman Stone. 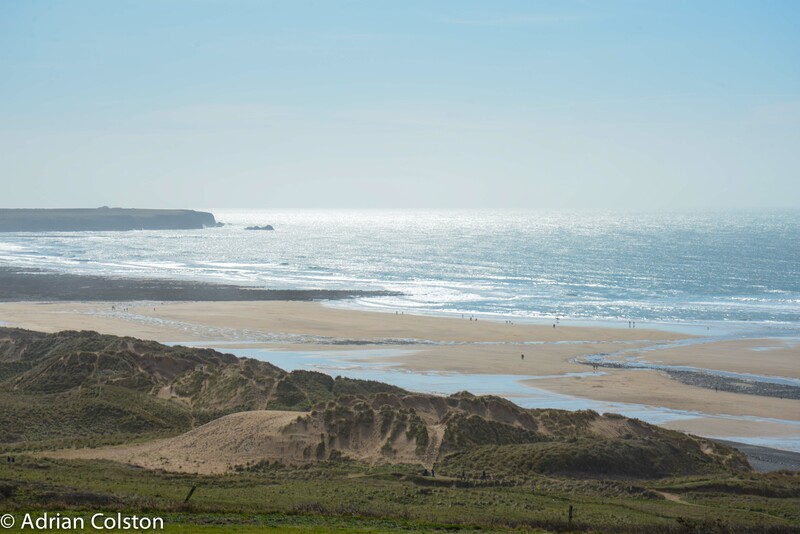 Perfectly set within a magical land and sea scape which perhaps explains the use of Mythological / Biblical heroes to name them. 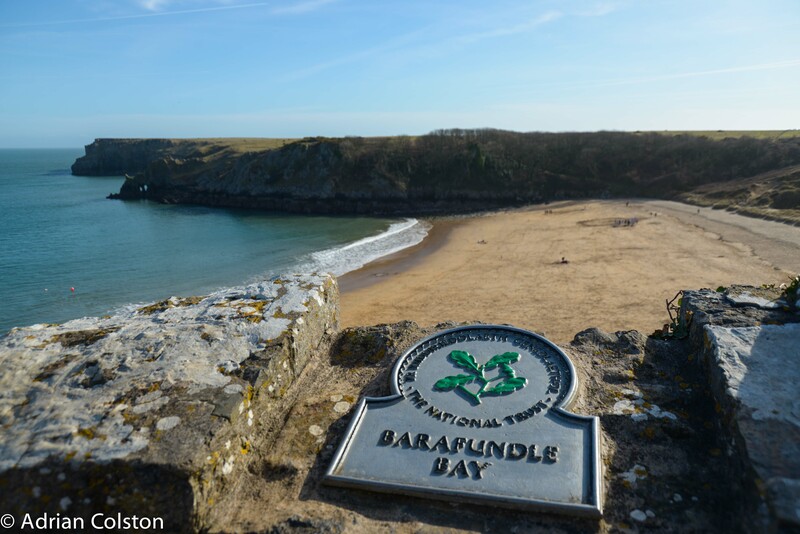 Am in Pembrokeshire for a couple of days and yesterday we had a walk around the National Trust’s Estate at Stackpole which is in the National Park. 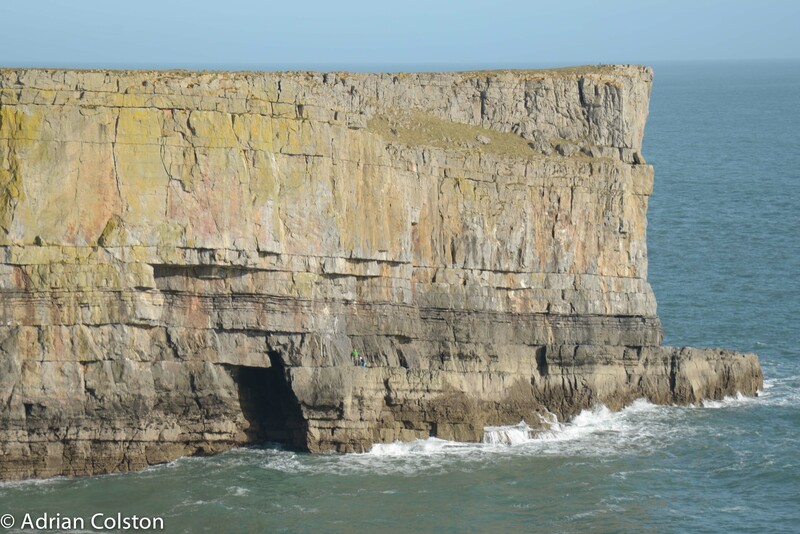 The cliffs are high and spectacular – if you enlarge this picture (double click) you can see two climbers just to the right of the top of the cave! View from the boathouse on the Lake and then back up to the car. 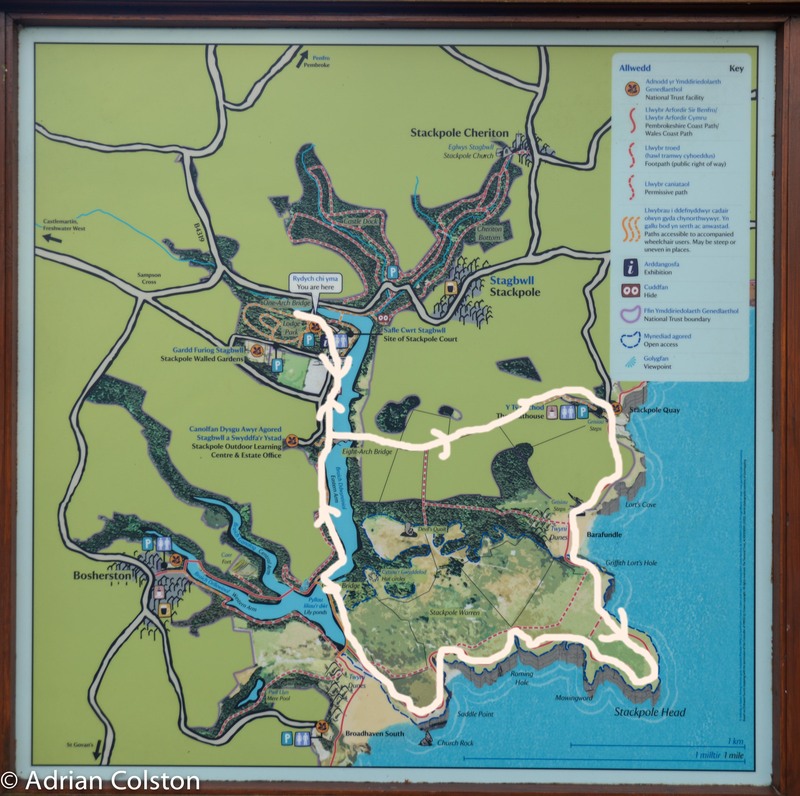 The walk is about 4-5 miles and has amazing contrasts in scenery along its route.